Today I am making my Christmas beer. Like many brewers (home or otherwise), I like to make something strong and special for the holidays. As a general rule of thumb, the higher the gravity a beer has (yielding a higher ABV), the longer it takes to ferment, condition, and mature. I try to schedule my brewing to take into account the varying amounts of time involved for each batch. Generally speaking, quickly maturing beers take around 4-6 weeks, medium-term beers 2-4 months, and long-term beers can take anything longer, up to and over a year! 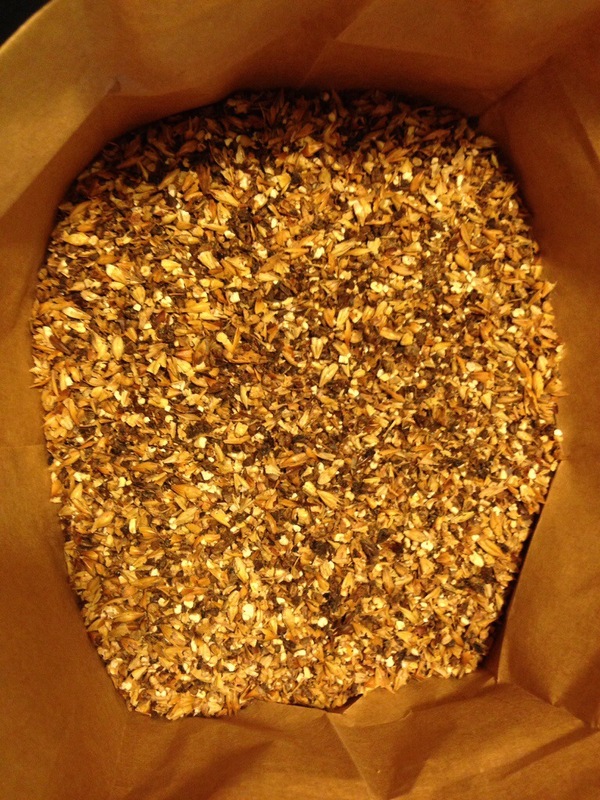 Last year I didn’t get my act together early enough to brew a strong ale for Christmas, and ended up making an Oatmeal Stout – it turned out great, but it was only 5% ABV. This year I decided to try to make a copy of Chimay Blue “Grande Reserve”. I am following a recipe from the book Beer Captured by Tess and Mark Szamatulski. Often I will try to brew a clone of a commercial beer I like, adjusting or changing the recipe to suit my tastes or the ingredients available; just as often I concoct new recipes on my own after scouring through the books I have and postings on the internet for ideas. I’ve never brewed a Belgian Tripel before, although I’ve made several Dubbels, so I thought it safe to follow a recipe. In any case Chimay Blue is not called a Tripel by them – they call their “Cinq Cents” their Tripel – the Blue was originally brewed as a Christmas ale, in fact. From what I understand, it is basically a Tripel with a slightly heavier, darker malt profile, and the addition of “grains of paradise”, a spice. It will be the strongest beer I’ve made, with a target original gravity of 1.086, and around 9% ABV. 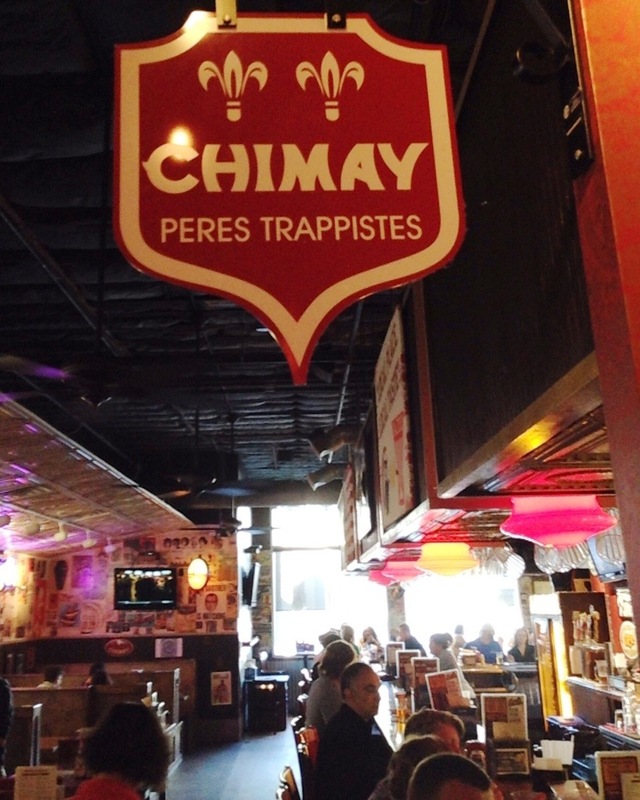 There’s something to be said about how seriously a neighborhood bar and burger joint takes it’s commitment to good beer when it sports a hanging Chimay logo prominently above the bar. M.L. Rose has two menus on each table: a food menu, and a seasonal, separate beer menu. The beer menu is three times the size of the food menu. With 20 taps and 90-something beers available in bottles (and a few cans), it’s clear what the main attraction is. I started brewing beer at home twenty years ago. I’ve been an on-again, off-again homebrewer: production has been interrupted several times due to household moves (5), parenting, job changes (too complicated to number or discuss), and the waxing and waning of personal interest. A year ago my son encouraged me to pick up my hobby again – my equipment had been sitting in a box in the garage for nearly five years. I had found the demands of a full-time job, part-time job, and graduate school all at the same time too much to be able to consider taking the time to make beer at home. Those were sad years for the state of beer in my house. 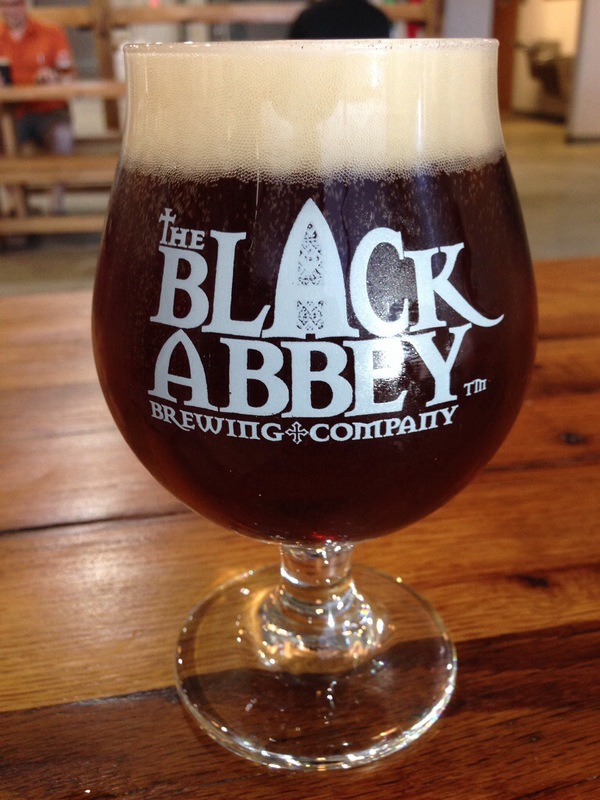 Black Abbey is a recently founded (opened in 2013) local brewery whose success is a unique Nashville success story. Their beers are available in over 100 venues throughout Nashville and the surrounding counties. Black Abbey’s “legend” – posted on each table in the taproom and on their website – describes how the brewery’s founders derive their inspiration from the travails of Martin Luther and his defrocked nun wife Katherine von Bora, who allegedly brewed “the best beer in Wittenberg”. The legend then makes the leap to their choice of brewing styles by stating that “Katherine crafted ales that were likely more similar to today’s Belgian-style ales than to the lagers for which Germany is famous. Welcome to my very first blog post. You can expect this blog (=beer log) to discuss all things beer from the perspective of a Nashville beer drinker and home brewer, although I reserve the right to go off-topic if it suits me! Please bear with me as I learn how to negotiate the technology, and as I decide what to write about, and how. My beer interests largely revolve around my home brewery and my fascination with the American craft beer phenomenon, although they include a strong interest in traditional imported styles (especially English and Belgian). The craft beer movement is exploding here in Music City, with several new excellent breweries having opened in the last few years, and availability of craft brews from around the country in restaurants, bars, and stores growing at an exponential rate. It is truly a beer renaissance. 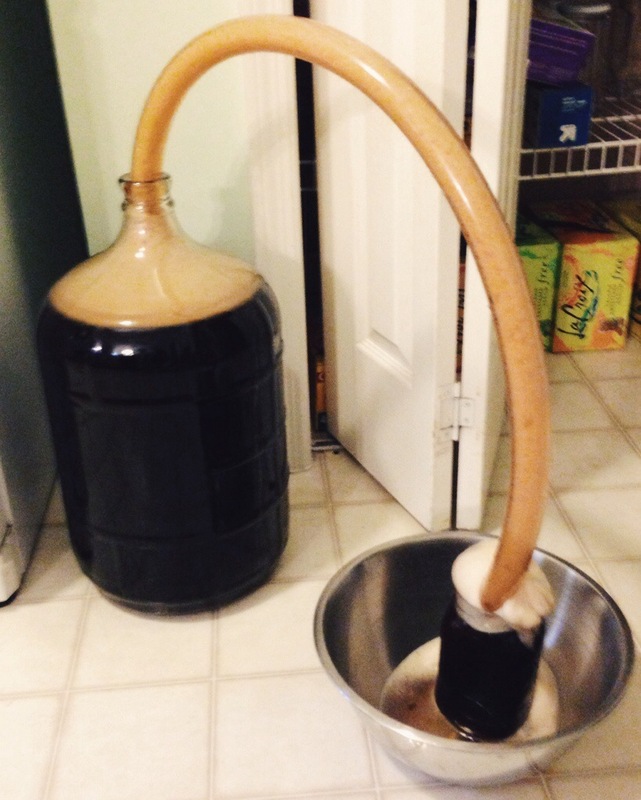 I first started brewing beer at home 20 years ago, and have seen the home brewing hobby grow tremendously in the years since as well (much more on this in future posts). Home brewers today can emulate virtually any style they wish with available techniques, equipment, and ingredients, and the practice of home brewing so naturally complements and overlaps that of checking out what folks who have gotten their priorities straight are doing commercially (getting it out of the garage and into distribution!). Hoping this will be fun and informative for both me and you – cheers!